In 1907 a young man from Berlin, Ontario tossed a coin to decide what direction his future would take. "If it's heads," he said to his young wife, "we stay and make phonographs." It was quite a turning point. Instead of heading west to seek his fortune, Arthur Bell (A.B.) Pollock stayed and made phonographs, and then made a whole lot more. From one arbitrary coin toss came successful ventures in the commercial manufacture of phonographs, radio and television sets, as well as home furniture and appliances. It was the start of the Electrohome Corporation, a world leader in the manufacture of electronic components and equipment. It was also the beginning of a very successful television station. Carl Pollock, A.B. 's son, along with a local business group, had the desire and foresight to apply for a television broadcast license in 1953. 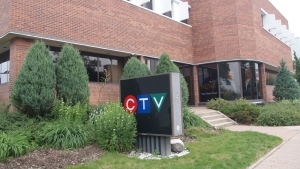 On March 1, 1954, Central Ontario Television went to air in Kitchener, Ontario. And it hasn't looked back. In fact, we've become one of the most successful broadcasters of regional news, community events and sports in the country. CTV is Canada's largest private broadcaster and offers a wide range of quality news, sports, information, and entertainment programming. It has the number-one national newscast, CTV National News With Lisa LaFlamme, and is the number one choice for prime-time viewing.